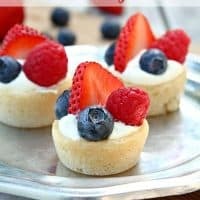 MINI BERRY TARTS — Mini sugar cookie cups filled with vanilla pastry cream and topped with fresh berries. These Mini Berry Tarts look so pretty that no one will ever believe how easy they are to make! Just pretend that you slaved for hours in the kitchen and no one ever know the truth. The secret is the refrigerated sugar cookie dough. Rolled into a 1-inch ball and placed in a mini muffin tin, it magically bakes up into the perfect little tart shell. 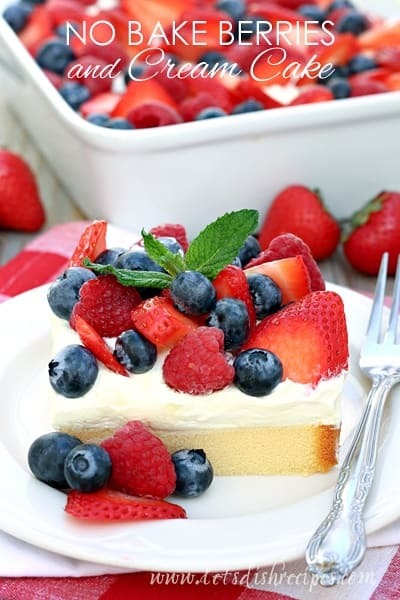 The red and blue berries make this a perfect patriotic dessert for Independence Day. 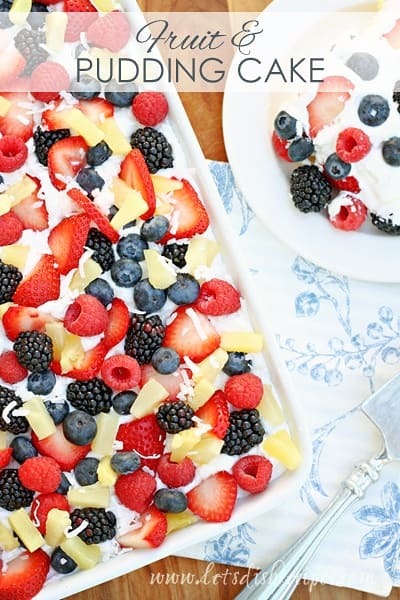 You can use any variety of fresh fruit though, so there’s no reason not to make these all summer long. I’ve also used very well drained mandarin oranges, and I think pineapple tidbits would work too. I live in a house full of boys, where I assure you, no one but me cares about food presentation. And I can’t even begin to tell you how much my family loves them! I wouldn’t be surprised if every single member of the family named this their favorite dessert of all time. 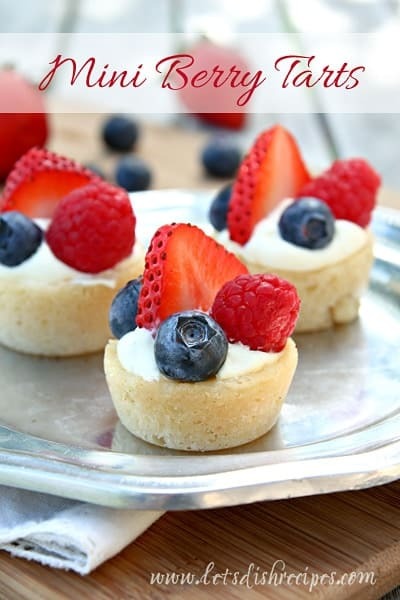 Mini sugar cookie cups filled with vanilla pastry cream and topped with fresh berries. Bake for 8-10 minutes, or until just golden brown. The dough should fall in the center to form a miniature tart shell. If necessary, tap dough down with the back of a spoon to form the shell. In a medium bowl, combine the pudding mix and milk. Fold in the whipped topping. Spoon or pipe the pudding mixture into the cooled tart shells. 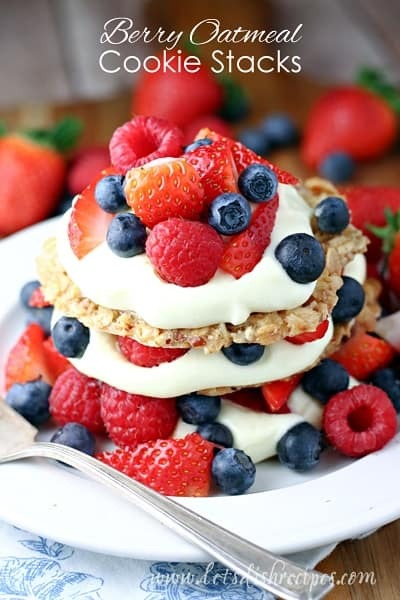 Arrange berries on top of filling. Refrigerate until ready to serve. I’ll mike these with my granddaughter. They look delicious. Thanks. These are adorable! I love the idea of using cookie dough instead of tart dough–easy, sweet, and tender! Genius. These tarts are so inviting. I love how beautiful your photo is! I love how festive and pretty these are. I also love small, easy to pop in your mouth treats. These will be prefect for our family fourth of July get together. These are definitely going on my list of things to make! YUM & they are so pretty too. You always amaze!! Hi Danelle! I love these mini tarts! A perfect little dessert that is not time-consuming to make. These are a great idea but the cookie cups are really hard to pop out with out breaking apart. Not sure spraying the cups first even helped. Suggestions? I use a non-stick pan, plus spray them. If that doesn’t work, you could try a spray like Baker’s Joy that also has flour in it. It might also help to loosen them with a sharp knife before removing them.